I am a lifelong resident of Montgomery County. I was born and raised in Gaithersburg, and I attended Montgomery County Public Schools growing up. I went to college locally and graduated from the University of Maryland with a Bachelor of Science degree in Business and Public Administration. 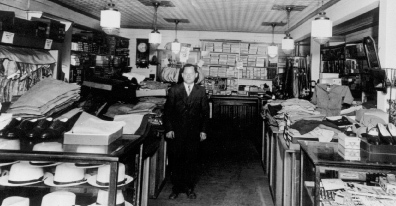 I was a small business owner in Gaithersburg for many years, serving as the owner of Wolfson’s Department Store in Olde Towne, a small retail store started by my grandparents in 1918. My wife, Sally, was a Speech/Language Pathologist and then a Pupil Personnel Worker for Montgomery County Public Schools until she retired. Sally and I raised our two daughters here, and we currently reside in Gaithersburg with our dog, Maddie. My background is one of continued community service. My civic career began in 1976 when I was selected to be a member of the Gaithersburg Planning Commission. After two years on the Planning Commission, I was elected to the Gaithersburg City Council and served on the City Council until 1998 when I was elected Mayor of Gaithersburg. 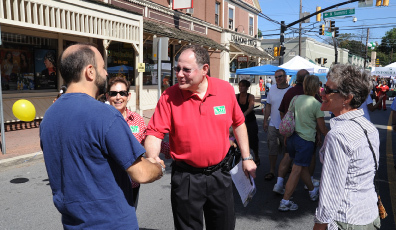 I served as the Mayor of Gaithersburg for 16 years and was proud to deliver outstanding services and amenities to the residents of Gaithersburg while remaining debt free. In 2014 I ran for the Montgomery Council Council, and in December 2014 I was very proud to take the oath of office to represent the residents of the third district on the Montgomery County Council. Still in my first term on the County Council, I serve on the Public Safety Committee and the Government Operations and Fiscal Policy Committee. On the Public Safety Committee, I am the lead for behavioral health in the justice system. I was an active member of the Mental Health Court Task Force that formulated the plan to initiate a mental health court in both the District and the Circuit Court in Montgomery County. I am proud of my commitment to constituent services, including the senior tax deferral. As your Councilmember, I have been honored to serve you for the last four years and I look forward to continuing my service to you for the next four years. Finding solutions to issues of significance is very important to me. I will continue to focus my efforts in the areas of fiscal responsibility, economic development, our school system, and transportation solutions. Thank you for allowing me to serve!